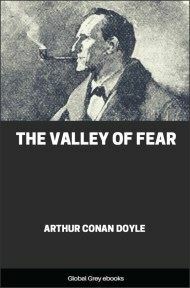 These twelve tales chronicling Sherlock Holmes fatal battle of wits with the devilish Professor Moriarty will keep readers on the edge of their seats. 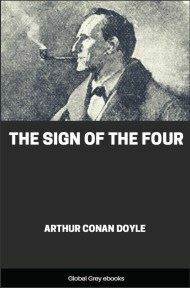 Holmes's death in "The Final Problem" caused such a public outcry that the author was forced to bring the intrepid investigator back to life in The Return of Sherlock Holmes. "I am afraid, Watson, that I shall have to go," said Holmes, as we sat down together to our breakfast one morning. I was not surprised. Indeed, my only wonder was that he had not already been mixed up in this extraordinary case, which was the one topic of conversation through the length and breadth of England. For a whole day my companion had rambled about the room with his chin upon his chest and his brows knitted, charging and recharging his pipe with the strongest black tobacco, and absolutely deaf to any of my questions or remarks. Fresh editions of every paper had been sent up by our news agent, only to be glanced over and tossed down into a corner. Yet, silent as he was, I knew perfectly well what it was over which he was brooding. There was but one problem before the public which could challenge his powers of analysis, and that was the singular disappearance of the favorite for the Wessex Cup, and the tragic murder of its trainer. When, therefore, he suddenly announced his intention of setting out for the scene of the drama it was only what I had both expected and hoped for. "I should be most happy to go down with you if I should not be in the way," said I. "My dear Watson, you would confer a great favor upon me by coming. And I think that your time will not be misspent, for there are points about the case which promise to make it an absolutely unique one. We have, I think, just time to catch our train at Paddington, and I will go further into the matter upon our journey. You would oblige me by bringing with you your very excellent field-glass." And so it happened that an hour or so later I found myself in the corner of a first-class carriage flying along en route for Exeter, while Sherlock Holmes, with his sharp, eager face framed in his ear-flapped travelling-cap, dipped rapidly into the bundle of fresh papers which he had procured at Paddington. We had left Reading far behind us before he thrust the last one of them under the seat, and offered me his cigar-case. "We are going well," said he, looking out the window and glancing at his watch. "Our rate at present is fifty-three and a half miles an hour." "It is one of those cases where the art of the reasoner should be used rather for the sifting of details than for the acquiring of fresh evidence. The tragedy has been so uncommon, so complete and of such personal importance to so many people, that we are suffering from a plethora of surmise, conjecture, and hypothesis. The difficulty is to detach the framework of fact—of absolute undeniable fact—from the embellishments of theorists and reporters. Then, having established ourselves upon this sound basis, it is our duty to see what inferences may be drawn and what are the special points upon which the whole mystery turns. On Tuesday evening I received telegrams from both Colonel Ross, the owner of the horse, and from Inspector Gregory, who is looking after the case, inviting my cooperation." "Tuesday evening!" I exclaimed. "And this is Thursday morning. Why didn't you go down yesterday?" 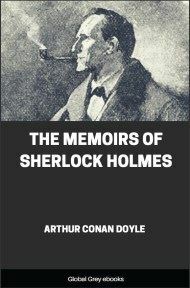 "Because I made a blunder, my dear Watson—which is, I am afraid, a more common occurrence than any one would think who only knew me through your memoirs. The fact is that I could not believe it possible that the most remarkable horse in England could long remain concealed, especially in so sparsely inhabited a place as the north of Dartmoor. From hour to hour yesterday I expected to hear that he had been found, and that his abductor was the murderer of John Straker. When, however, another morning had come, and I found that beyond the arrest of young Fitzroy Simpson nothing had been done, I felt that it was time for me to take action. Yet in some ways I feel that yesterday has not been wasted." "You have formed a theory, then?" "At least I have got a grip of the essential facts of the case. I shall enumerate them to you, for nothing clears up a case so much as stating it to another person, and I can hardly expect your co-operation if I do not show you the position from which we start." "Silver Blaze," said he, "is from the Somomy stock, and holds as brilliant a record as his famous ancestor. He is now in his fifth year, and has brought in turn each of the prizes of the turf to Colonel Ross, his fortunate owner. Up to the time of the catastrophe he was the first favorite for the Wessex Cup, the betting being three to one on him. He has always, however, been a prime favorite with the racing public, and has never yet disappointed them, so that even at those odds enormous sums of money have been laid upon him. It is obvious, therefore, that there were many people who had the strongest interest in preventing Silver Blaze from being there at the fall of the flag next Tuesday.